It’s down to DIO and the Woodland Trust that a 100 acre woodland is being created in the Pentland Hills, near Edinburgh. 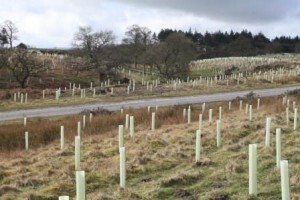 The Woodland Trust is planting a wood in each of England, Scotland, Wales and Northern Ireland - planting millions of trees to commemorate millions of heroes of the First World War. I’m the Woodlands Trust’s Partnership Manager and my name is Janice Hix. DIO and the Woodland Trust have worked together for over five years now, creating precious new woodlands on DIO sites throughout the UK as diverse as Warcop, Catterick, Prince William of Gloucester Barracks, Borden, Winterbourne Gunner, Wethersfield, Condor and Barry Buddon. 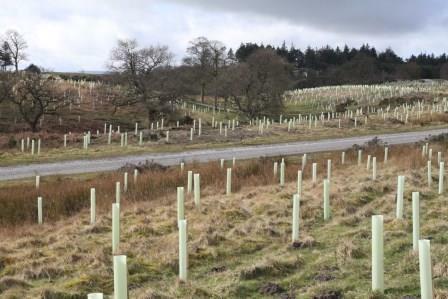 That’s almost 500,000 trees on MOD land to date, with another 100,000 lined up. Now, Dreghorn Woods in Scotland is the latest venture for DIO on their land leased to the Woodland Trust. Dreghorn Woods is - as you might imagine - close to Dreghorn Barracks. Right on the doorstep of Edinburgh, it will be a growing tribute to all those that played a role in the First World War, to remember the past and look to the future. It is an apt place. 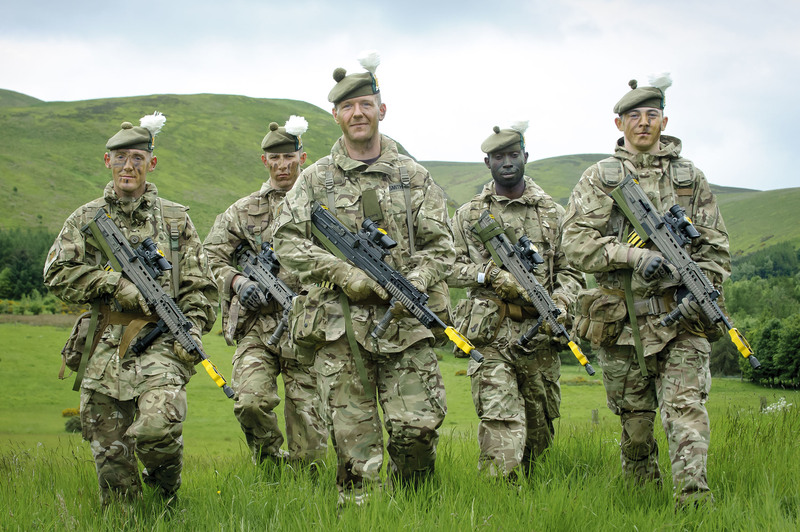 British soldiers have trained there for over a century and still use it today. 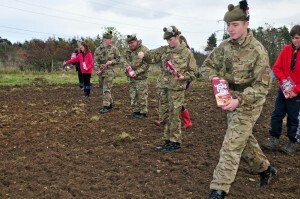 Recently, particularly in the cold and wet, serving soldiers helped plant almost 50,000 native trees with local people, including schoolchildren. It is also a fitting thing to do, bearing in mind the impact of the war on both trees and people. Great highland pinewoods at Glenmore, Glen Garry, Loch Arkaig and Glen Moriston were felled due to an inexhaustible demand for timber. It was used for pit props, in trenches, tunnels and other construction, and turned into charcoal for use in gas masks. It’s hard to think of a better way to mark the centenary than to create a living legacy which will thrive and grow for many generations to come. The best time to plant trees is when they are dormant, in the coldest, wettest months. This gives them the best start in life, building the roots before the leaves burst open in springtime. 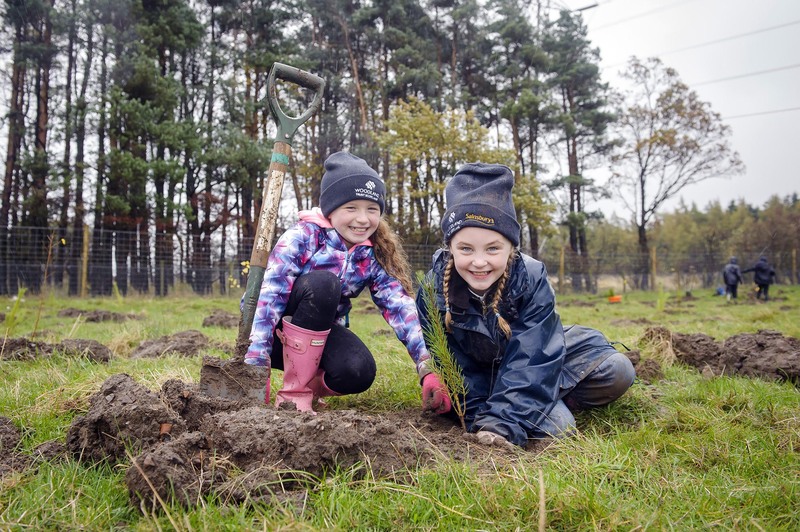 Therefore, in autumn last year, 450 school children planted 2,500 trees at Dreghorn Woods. They also learnt what it was like to be in the trenches 100 years ago, when ‘Dreghorn sludge’ caked the kilts of troops who trained in trenches before going to the Western Front. Pupils from local schools helped with the tree planting. A community day in November saw 250 people, including cadets and Scouts, as well as soldiers from 2 Scots and 3 Rifles plant a further 3,000 trees. These included a special avenue of 50 wild service trees which will provide a spectacular annual flash of red during autumn, just as thoughts turn again to remembrance. 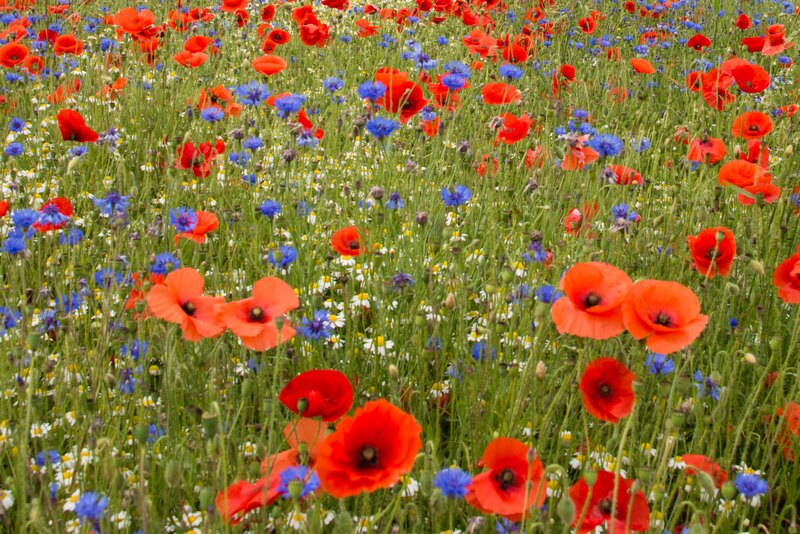 They also sowed two hectares of wildflowers (including poppies) to create a place for commemoration and reflection. 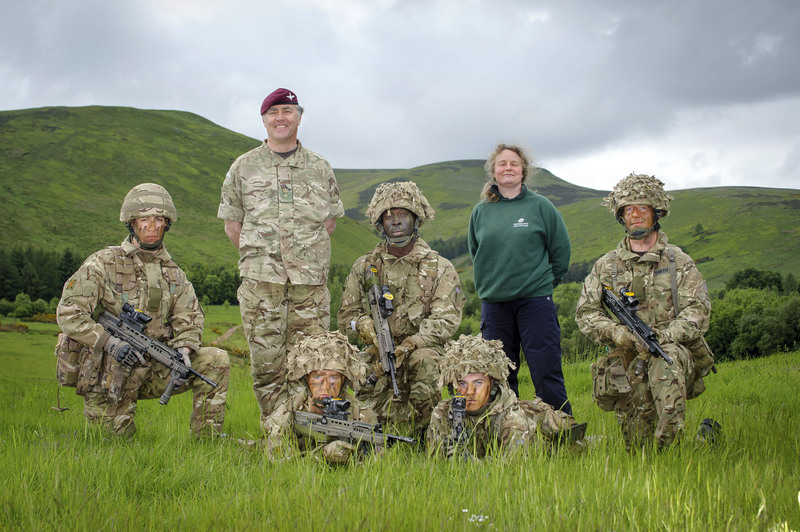 It’s all on land owned by the MOD and we at the Woodland Trust are very grateful to them. This precious new wood will increase native woodland in Edinburgh by almost 10%. In just a few years it will be teeming with wildlife, including birds, insects and bats. Suffice it to say, DIO has made a huge contribution to local biodiversity through their contribution and tireless support. It’s a lasting tribute which can be enjoyed and valued by everyone – young and old. And remember, it’s all stemmed from a need to improve terrain for military training exercises, so it’s a win all round. Thank you for helping the Woodland Trust to make the Centenary Woods happen; without DIO it would not have been so successful. 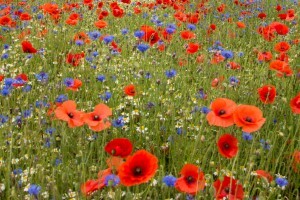 When the wild flowers are grown, they may look something like this. The Woodland Trust’s Centenary Woods project is taking place across the UK, so if you want to get involved there are many opportunities. A limited number of special Groves are available at Dreghorn Woods, Scotland, as well as in the other UK Centenary Woods. These can be dedicated to particular people. If you’re aware of land that might be suitable for planting a woodland, please do contact me too. To find out more, please call me on 08452 935 619.